A LAKE IS A LAKE IS A LAKE...ISN'T IT? Some months ago, Richard Freeman in his blog was perplexed about the location of a certain Tibetan lake said to house monsters, which I was able to resolve by revealing that for reasons still unknown to me it has been referred to by a variety of different names, of which Lake Wembo is just one. As it happens, moreover, there is another Chinese 'monster' lake that is mystifying me for a similar reason - over the years, its name has inexplicably changed, causing some confusion at first as to whether the two names did indeed refer to the same body of water. I refer to what was originally called Lake Hanas, but which in more recent years is now repeatedly called Lake Kanasi. Has the name officially changed, or it is merely a question of a different transliteration from Chinese to English being adopted (as with Peking to Beijing, for instance)? If anyone has any info, I'd love to receive it. "Officially, the largest specimen of freshwater fish on record is a 15 ft European catfish Silurus glanis, caught in Russia's Dniepper River sometime prior to the mid-1800s (though this species as a whole is generally shorter than the pa beuk, officially deemed to be the world's largest freshwater fish). As a consequence, the lake-dwelling fishes reported in July 1985 by no less an authority than China's eminent biologist Prof. Xiang Lihao, from Xinjiang University, attracted appreciable scientific interest. "In July, the professor and a party of students arrived at a large but remote body of water called Lake Hanas, situated in northwestern China's Xinjiang Autonomous Region, in order to examine its potential as the site of a future nature reserve. On 24 July, one of the students observing the lake from a watchtower built two years earlier noticed several huge reddish-coloured objects moving at the water's surface. When the professor and students scrutinised them closely through binoculars, they discovered to their astonishment that they were enormous salmon-like fishes, whose heads, tails, and spiny dorsal rays could all be clearly discerned. Just how enormous they were, however, was not revealed until the next day. "That morning, while again being observed through binoculars by Xiang Lihao, one of the fishes very obligingly aligned itself in parallel with a stretch of the bank extending between two trees. Armed not only with binoculars this time but also with a camera, the professor took some photos, then measured the distance between the trees. Using this measurement, he was able to calculate from the photos that the fish was at least 33 ft long! "A large salmon known as the taimen Hucho taimen is indeed known from several rivers in northern China, but this species' maximum recorded length is a mere 6.5 ft - far short of the Lake Hanas monsters. Worth noting is that giant red fishes in this lake have been reported for decades by local villagers, but as the lake had not previously attracted scientific attention such reports had not been widely circulated. Now, with an eyewitness of Prof. Xiang Lihao's scientific standing, there should be no question concerning their existence or authenticity as giant fishes. So unless they are abnormally huge taimen, the Lake Hanas fishes must surely comprise a spectacular new species, requiring formal description and study." An updated account of these creatures will appear in my new, updated New Zoo. I'm happy to say that my poetry book, Star Steeds and Other Dreams, is now in print and can be purchased from Amazon, directly from its publisher CFZ Press, and by order via all good bookshops. Consequently, I'd like to take this opportunity to thank Jon very sincerely for enabling this long-held hope of mine - to see my poetry published one day - to come true. The symbolic association of the poppy with the remembrance of those who fought and fell during wartime is very potent, and is one that I sought to capture and honour in the following poem – my own tribute to those brave heroes who gave their lives so that we could live ours. 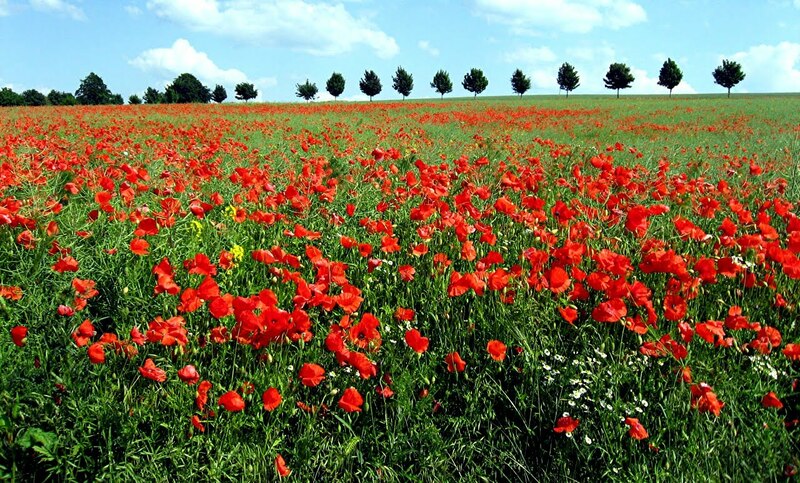 May we never forget them, and the sacrifice that they made for all of us. Couldn’t unchanging forever more last. Swaying round ever to meet the sun’s light. Outwards forever to sunlight displayed. Borne ’neath the cloudbanks of Heaven above. Gave up their lives in the struggle of War. 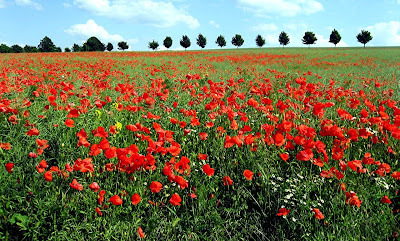 Living again in each poppy-shed tear. This was their goal – this is what they died for. Living in peace after violence and War. This was their dream – this is what they fought for.